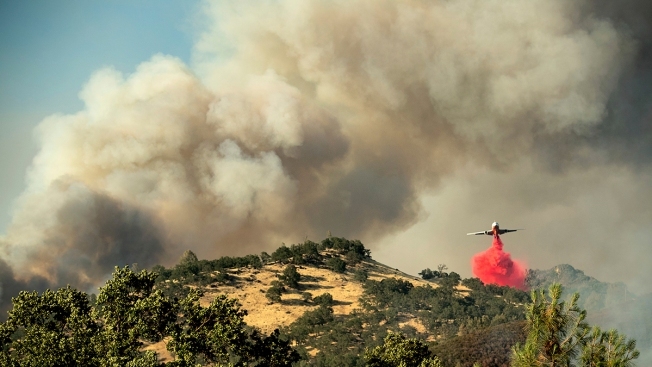 An air tanker drops retardant on a wildfire above the Spring Lakes community on Sunday, June 24, 2018, near Clearlake Oaks, California. A wildfire-prone Northern California county is considering installing surveillance cameras that can help detect its next major blaze. The Press Democrat reported Friday that the eight high-definition cameras would be installed on communication towers and other existing structure. The goal for the web cameras is to help emergency responders and government officials more quickly understand the severity of a fire, where it is spreading and how quickly it is advancing. The network would span more than a third of the Lake Sonoma watershed, a water source for 600,000 people across three counties. On the Fourth of July, illegal fireworks were a problem all over the Bay Area. 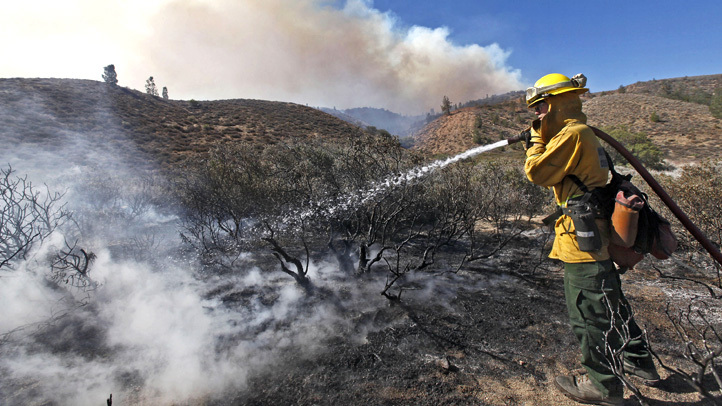 And according to fire officials in the East Bay, they could be a problem this weekend as hot, dry and breezy conditions could prompt fire advisories or warnings. Cheryl Hurd reports. County supervisors will consider the eight-camera $475,000 investment in August. An existing network of 60 cameras across Southern California and Lake Tahoe has already provided critical information about hundreds of past fires.